Science shows how low-dose cannabis could keep you at your best as you age. Did you know that 75 percent of seniors (age 65 or older) suffer from at least one chronic condition? These conditions could range from Alzheimer's to arthritis, and most of them take a toll on quality of life. What if we could prevent that? Or what if there was a better way to treat these age-related ailments? It would certainly make one's golden years more vibrant and enjoyable. As medicine moves into a more technological future, diseases of aging are becoming a major topic of conversation. While scientists have yet to discover the fountain of youth, recent research advancements have changed the way aging is viewed by medicine and society. Although many consider aging a natural right of passage, it can also be thought of as the accumulation of stress and damage over time. The human body wears its experience like a favorite suit, showing signs of small catastrophes and periods of bounty both inside and out. To make advancements in the way health and medical institutions approach aging, many scientists have set out to find drugs, therapies, and lifestyle interventions that help the body become more resilient to accumulated damage. 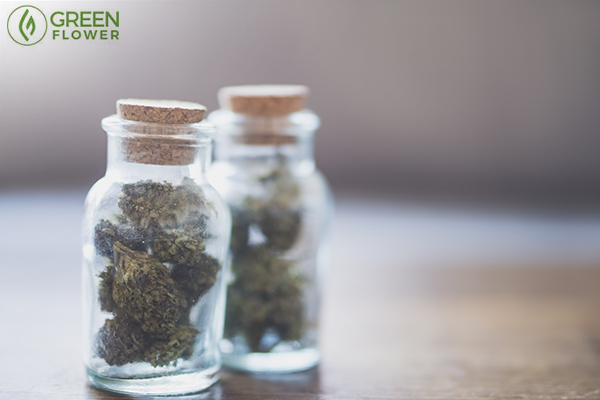 As luck would have it, a wealth of recent evidence suggests that cannabis is a promising therapy and preventative tool for aging adults. Cannabis chemicals are neuroprotective antioxidants. The U.S. Patent 6630507 articulates that the active components in the herb, called cannabinoids, may aid in healing a wide variety of diseases associated with oxidative stress. Oxidative stress occurs when the body cannot strike a balance between the positive and negative byproducts of oxygen metabolism. The patent explains that cannabinoids may be beneficial for a variety of oxidative diseases, including autoimmune diseases, diseases of aging, and inflammatory diseases. Cannabis compounds have been found to help repair the brain after stroke and head trauma. They have also shown potential in early preclinical research in degenerative diseases like Alzheimer’s. Cellular research has found that THC treatment successfully reduces levels of amyloid-beta, the plaque that builds up in the brains of Alzheimer’s patients. Scientists have also found that the herb reduces the inflammation of neurons themselves, potentially combatting the disease via two different mechanisms. The right dose of cannabis can help you keep those stress levels in check. Unchecked stress can affect your health at any age. In fact, stress is one of the primary reasons people turn to cannabis, including many seniors. Anyone who has tried the herb knows that it has a tendency to inspire calm and tranquility. Now, there’s finally some research to back it up. A recent study published in the Journal of Drug and Alcohol Dependence set out to see whether or not cannabis reduced stress in human test subjects. The study included 42 participants and the research was conducted by the University of Illinois at Chicago. There, researchers discovered that low doses of THC can ease stress in human adults. Specifically, psychosocial stress. Psychosocial stress is emotional stress triggered by social situations like the workplace. Psychosocial stress can take on many different forms, including anxiety, depression, and agitation. In fact, psychosocial stress is considered a major risk factor in developing affective disorders, like depression. In the study, participants were asked to prepare for a mock job interview after taking either a placebo or low and moderate doses of THC. On a second visit, they talked to lab technicians about their favorite movie or book. On both occasions, the participants given low-dose THC (7.5 milligrams) reported feeling less stressed. Blood pressure, heart rate, and levels of the stress hormone cortisol were checked before and after each activity. A growing body of research suggests that prolonged psychosocial stress can cause a variety of health issues. In humans, chronic psychosocial stress has been linked to an increased risk of cardiovascular disease. In other animals, chronic psychosocial stress causes neurons in certain brain regions to die. Specifically, psychosocial stress seems to affect the CA3 region of the hippocampus, which is a brain region responsible for memory formation. Those who took a higher dose of THC (12.5 milligrams), however, reported worsened mood throughout the experiments. This suggests that high doses of THC may increase stress. Though, the study did not examine these effects in those with a higher degree of cannabis tolerance. In skin, damage from aging occurs in two different ways. The first, intrinsic aging, is a natural aging that happens slowly over time. After the age of 20, the skin begins to produce about 1 percent less collagen each year. This collagen is what provides a tightness to the skin. So, over time, the skin naturally begins to soften. The second type of skin aging is extrinsic, which refers to damage caused by environmental conditions. 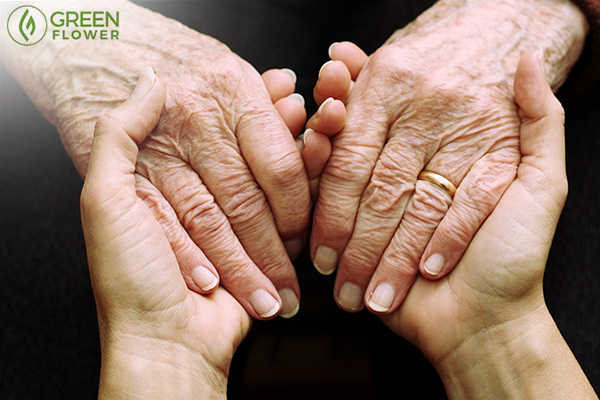 Pollutants, poor diet, and exposure to UV rays all speed up the extrinsic aging process. As a potent antioxidant and anti-inflammatory, cannabis may be helpful for protecting the skin against extrinsic aging. Pollutants and UV rays are free radicals, which are volatile compounds that cause damage to cells and to DNA. Antioxidants like those found in cannabis neutralize free radicals, protecting DNA from damage. This is a natural protection against extrinsic aging. Cannabidiol (CBD) has also been found to improve acne lesions, which can affect individuals throughout middle age. 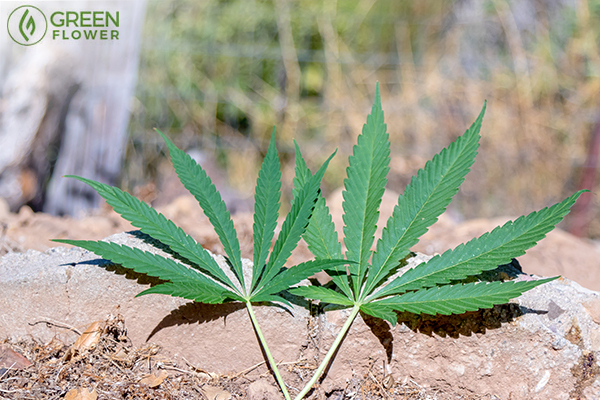 Your golden years can truly be golden with a health supplement like cannabis. For many, short-term memory loss is an irritating side effect of cannabis consumption. However, recent evidence suggests that the plant may have a beneficial effect on memory in aging adults. A study published in the spring of 2017 found that small daily doses of THC contributed to a “dramatic improvement in cognitive functions” in older mice. The mice were treated with the cannabinoid for one month. Mice divided into three different age groups were given either THC or a control. While THC seemed to reduce memory and cognitive function in young mice, older THC-treated mice performed better in most cognitive tasks, including memory experiments. This study falls in line with earlier research on the subject, which found that a cannabinoid drug improves memory function in rodents with an experimental version of Alzheimer’s disease. Chronic inflammation is considered a root contributor to modern disease. Inflammation is the body’s natural response to stress and injury. While acute inflammation is healthy, chronic inflammation is thought to contribute to a wide range of health conditions. 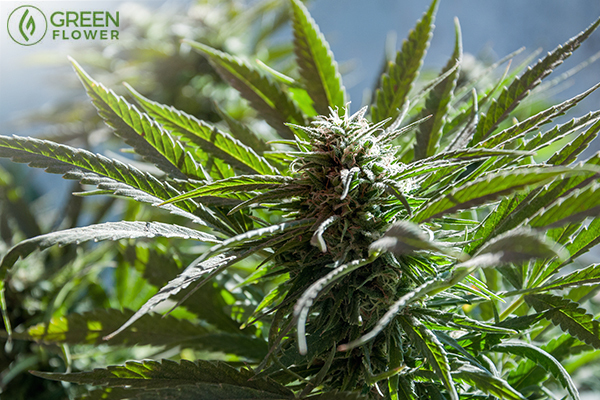 Experimental research has shown that cannabis contains several different anti-inflammatory compounds. In fact, the active components of raw cannabis and the active components in heated cannabis are thought to ease inflammation via different mechanisms. This suggests that cannabis may be such an effective anti-inflammatory therapy since it addresses inflammation through different active channels. Thus far, inflammation has been identified as a culprit in the development of autoimmune disease, allergy, depression, neurodegenerative disease, diabetes, arthritis, and more. These conditions tend to develop later in life and can continue to get worse with aging. Cannabis can help older adults in so many ways, plus it's non-toxic! Along with reduced inflammation comes pain relief. Both THC and non-psychotropic cannabis compounds act as muscle relaxants and analgesics, soothing stiff muscles and improving mobility. In low doses, cannabis compounds can also improve mood. The lighthearted nature of the herb might make it particularly useful for senior adults, who are more likely to struggle with loneliness and depression. Research dating back to 1992 has found that depression ratings tend to be at their worst around 80 years old. The lowest rates of depression occurred at the age of 45. While subjective, an improved sense of well-being can provide boundless improvements to overall quality of life. This is especially true for those living with chronic disease. Have you ever noticed that your thinking is foggy after a night of poor sleep? Sleep is one of the single most important lifestyle factors to keep in mind as you age. While you sleep, waste fluids are flushed from the brain. These waste fluids contain toxins like beta-amyloid, the plaque that contributes to Alzheimer's disease. Researchers also speculate that the buildup of certain neurotoxins contributes to the development of Parkinson’s disease. Sleep is the time when these toxins are cleared out of the brain. Yet, senior adults tend to spend less time in deep sleep and more time cat napping. Deep sleep is the restorative phase of the sleep cycle. Research shows that cannabis extends the time a consumer spends in deep sleep. In younger people, this extra deep sleep may come at the cost of lighter phases of sleep, like the rapid eye movement (REM) period when most dreaming occurs. However, the deep sleep extension may prove particularly useful to aging adults who struggle to achieve more meaningful stages of slumber. Without deep sleep, the body cannot properly heal itself. Know anybody in their golden years who could benefit from cannabis? Why Did Cannabis Become Prohibited in the First Place?